Arimidex Is A Hormone Therapy. Arimidex Fights Cancer As An "aromatase Inhibitor." Arimidex Is Used To Treat Breast Cancer In Postmenopausal Women. 6 ) Appearance: White crystalline powder. 10 ) Usage : Arimidex is a hormone therapy. Arimidex fights cancer as an "aromatase inhibitor." Arimidex is used to treat breast cancer in postmenopausal women. Arimidex is a drug used to treat breast cancer in post-menopausal women (women who have gone through the menopause/ change of life). It is a type of hormone treatment known as an aromatase inhibitor. The female hormone oestrogen stimulates some breast cancers to grow. These are described as hormone sensitive or receptor positive tumours. Post-menopausal women do continue to produce oestrogen.This is mostly produced when other hormones are converted into oestrogen by an enzyme known as aromatase, which is found in the liver and the fatty tissues of the body.Arimidex works by stopping this conversion from taking place so that the amount of oestrogen circulating in the body is reduced. 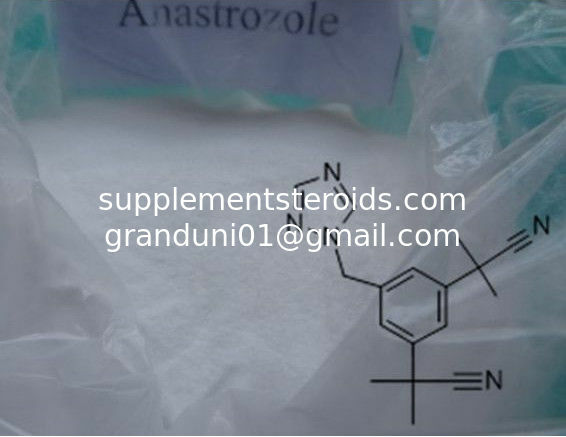 Anastrozole has been tested for reducing estrogens, including estradiol, in men.Excess estradiol in men can cause benign prostatic hyperplasia, gynecomastia, and symptoms of hypogonadism. 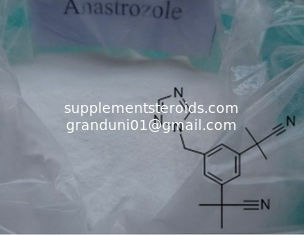 It can also contribute to increased risk of stroke, heart attack, chronic inflammation, prostate enlargement and prostate cancer.Some athletes and body builders use anastrozole as part of their steroid cycle to reduce and prevent symptoms of excess estrogen--gynecomastia, emotional lability and water retention. Hormones are chemical substances that are produced by glands in the body, which enter the bloodstream and cause effects in other tissues. For example, the hormone testosterone made in the testicles and is responsible for male characteristics such as deepening voice and increased body hair. The use of hormone therapy to treat cancer is based on the observation that receptors for specific hormones that are needed for cell growth are on the surface of some tumor cells. Hormone therapies work by stopping the production of a certain hormone, blocking hormone receptors, or substituting chemically similar agents for the active hormone, which cannot be used by the tumor cell. The different types of hormone therapies are categorized by their function and/or the type of hormone that is effected. Arimidex is an aromatase inhibitor. This means it blocks the enzyme aromatase (found in the body's muscle, skin, breast and fat), which is used to convert androgens (hormones produced by the adrenal glands) into estrogen. In the absence of estrogen, tumors dependent on this hormone for growth will shrink. It complies to USP32 .